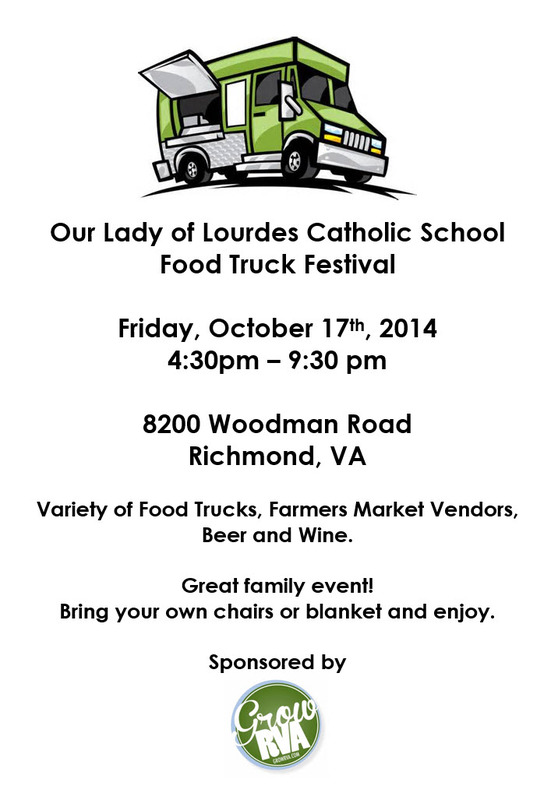 Next Friday, October 17th, bring your friends, family and a picnic blanket to Our Lady of Lourdes on Woodman Road for their big Food Truck Festival! 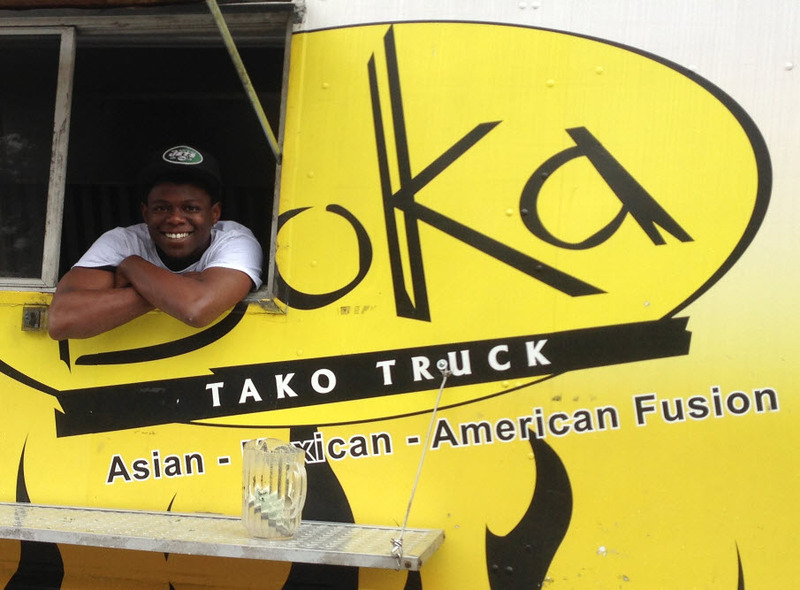 Come hungry because we have 12 food trucks and carts planning to be there. You’ll also be able to get a little shopping in as well. We’ll have local artisans and farmers selling their fabulous items. 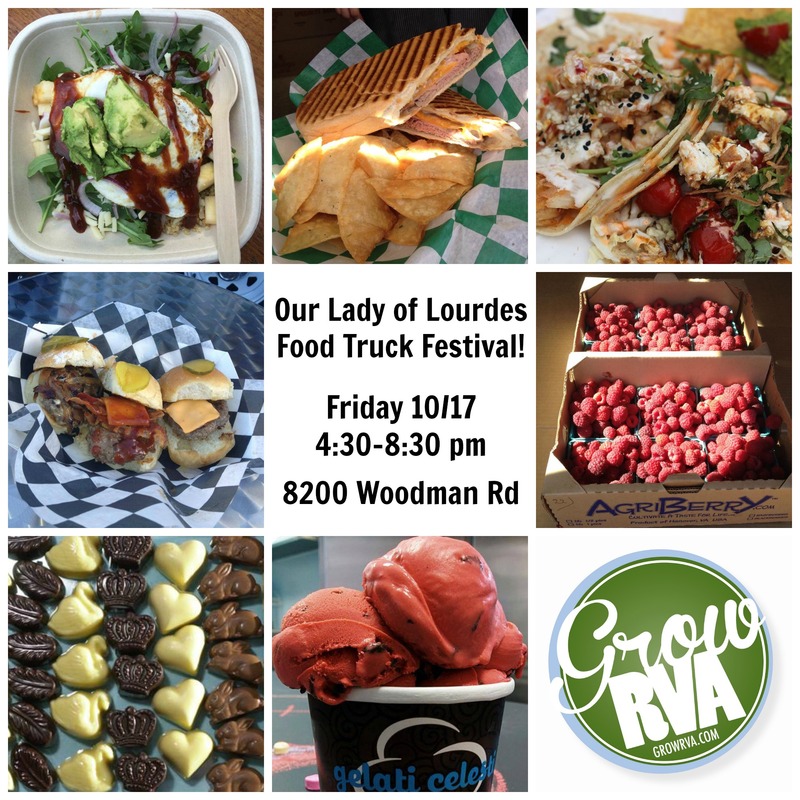 See our vendor and food truck list below for the details. de Rochonnent delights Chocolatier – a mobile sweet shoppe on wheels. European chocolages, Italian Gelato, and pastries. Dressed & Pressed – Food Truck – Serving gourmet sandwiches, paninis & more using local ingredients and green practices. 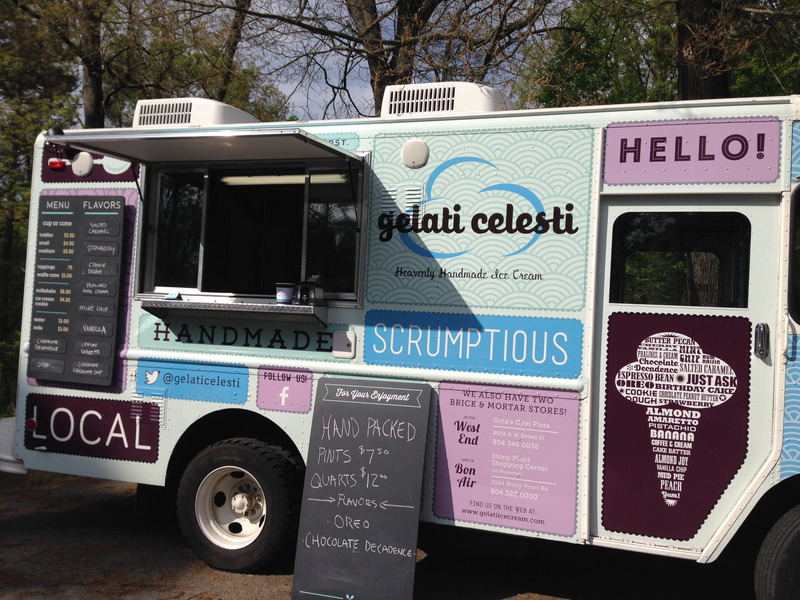 Gelati Celesti – Food Cart – local to Richmond handmade ice cream business. Quality ingredients, attention to detail, and 30 yrs experience help make the best ice cream around. 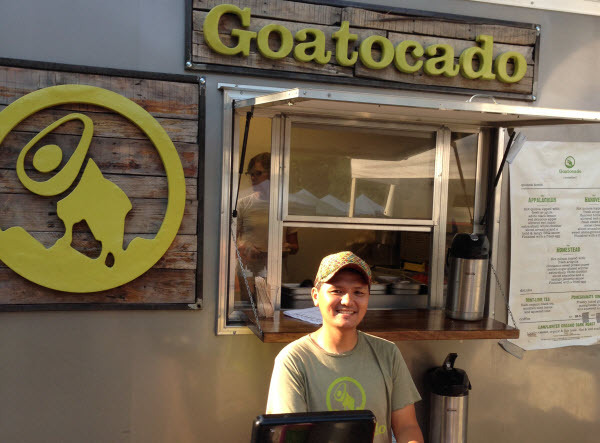 Goatocado – Food Truck – serving healthy and wholesome cuisine, utilizing fresh, local and organic ingredients as much as possible. 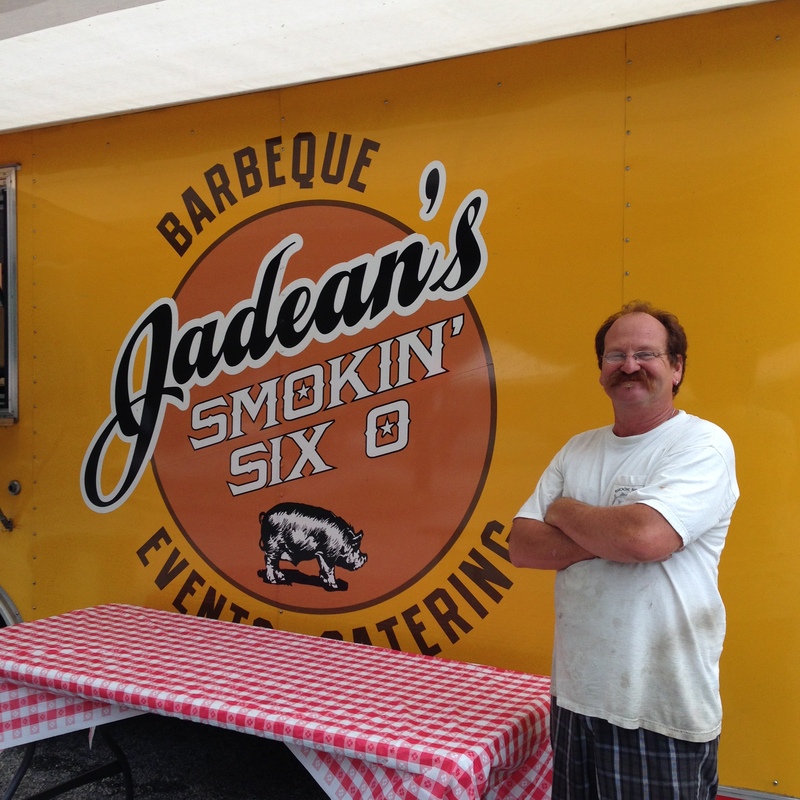 Jadean’s Smokin’ Six O – Food Truck – Specializing in apple wood smoked BBQ chicken, ribs, seafood and down home southern cooked meals. Limeades and More – Fresh squeezed limeades and lemonades made to order, also coffee and hot chocolate as the weather dictates. Phal’s Café – The best noodles, dumplings, eggrolls, spring rolls, etc., etc., around – shrimp, chicken, and tofu! Slideways – Food Truck – Gourmet sliders w/a wide variety from kid friendly classics to unique flavor combinations, vegetarian options too. Sweet Temptations by Teresa – local ER nurse and her husband with their own brownie (and other sweets) business. Truly decadence refined! 1 Eye Originals – Recycled, hand-decorated glass bottles turned into one of a kind incense burners. 2 Dye 4 – Hand tie dyed t-shirts and accessories for the whole family. Agriberry – Sustainably and responsibly grows more than 30 varieties of strawberries, raspberries, and blackberries, producing berries from April through November, along with peaches, cherries, plums, etc. C Glass Creations – Earrings & bracelets handmade with sea glass, accented with gold and silver charms. Also semi-precious stone jewelry collections. Jewelry can be custom fitted on site. Gypsy Eye Jewelry – Beautiful vintage style crochet jewelry, with antique buttons, antique coins, fine gemstones, leather, feathers, shells, natural beads, starting silver and gold wire wrapped pendants with a vintage, hippie, boho flair! Handmades by Linda – Featuring handmade jewelry-sterling silver, gold-filled, copper with semi-precious stones and some glass. I also do wall art, holiday ornaments and key rings – all handmade by me. Simple repairs are offered at a reasonable price. 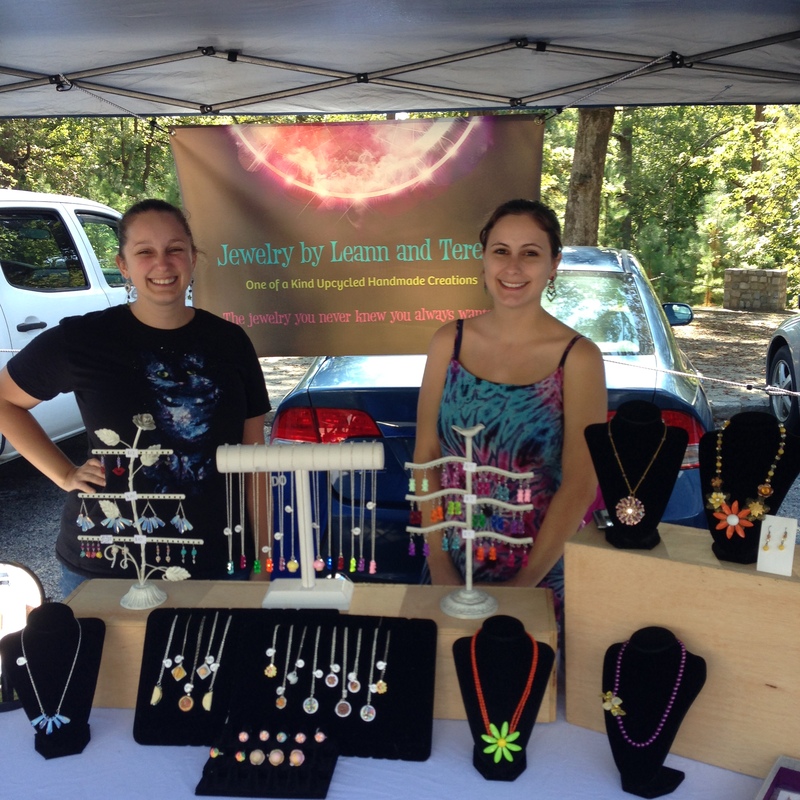 Jewelry by Leann & Teresa – Unique handmade jewelry using recycled vintage materials, guitar picks, wire crochet jewelry, and wine charms. Custom orders done. The Inspired Spirit – Handmade gemstone jewelry for the inspired spirit w/uniquely inspired, long lasting and purposeful designs. Wandering Cow Farm – a fiber and dairy goat farm, also raising cattle, pigs, chickens, ducks, horses, & sheep. Creating and selling hand crafted soaps, locally grown wool and hand crafted wool products. Sierra Club – Virginia Chapter – working to build healthy, livable communities, and to conserve and restore our natural environment.